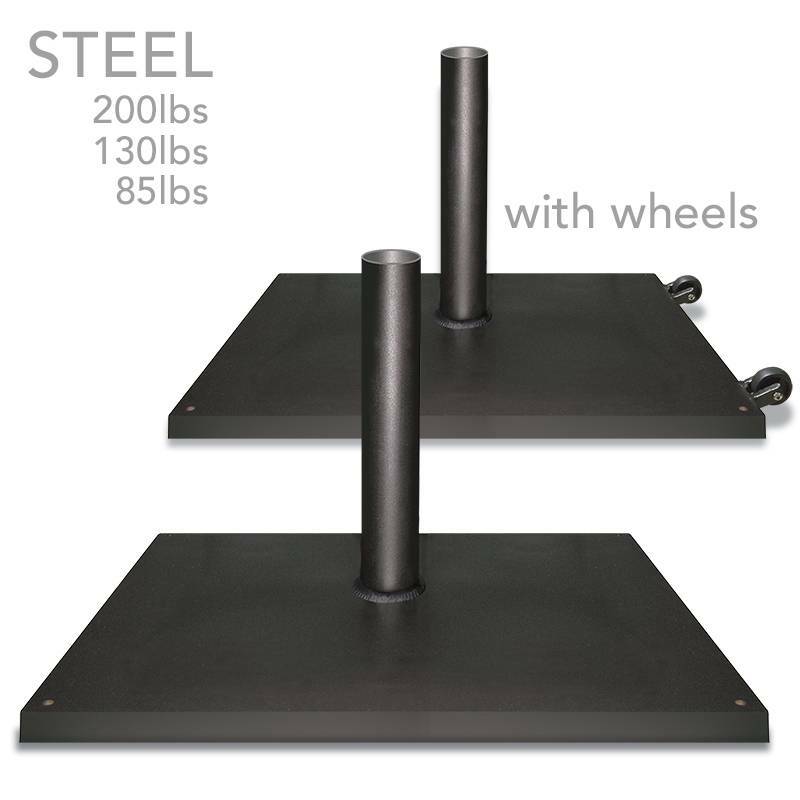 This Low Profile Steel Plate Umbrella Base is available at 85lvs, 130lbs or 130lbs with wheels, 200lbs with weels. This base ideal for larger sized umbrellas, and wheels make heavy umbrellas easy to move to where they are needed most. The standard sleeve accommodates poles up to 1.5 inch to 2inches in diameter. Pole Sleeve is welded to plate for extra stable base. Steel is galvanized first, then powder coated for superior rust resistance.